As much as I enjoy learning how to cook, I also enjoy eating out and trying different restaurants--you know, for "research purposes". One restaurant I went to a few days ago was Caffe Puccini, located at The Fort Strip (a few meters away from Cable Car, across URBN) in Bonifacio Global City. In contrast to the loud crowd and rows of bars blasting out music, Cafe Puccini is a welcome calm amidst the chaos, serving a taste of Italy. 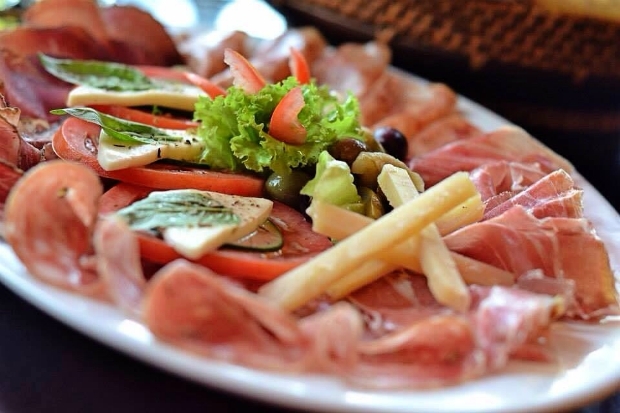 We started off with the Antipasto Italiana, which is assorted Italian cold cuts with black olives, tomatoes, artichokes, anchovy, and cheeses. 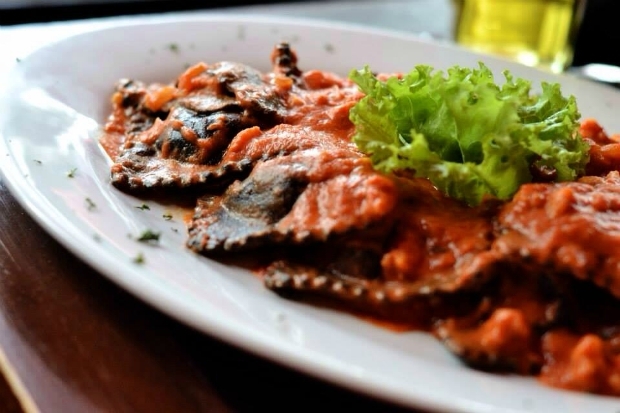 The varied flavors is a good start, warming up your taste buds and preparing them for the main course. Plus, the cold cuts paired well with the alcoholic drinks we ordered early on--because how can we not order drinks? Next, the Ravioli Lobster and Risotto Spinach Gamberetti followed. Both extremely flavorful, but I leaned more towards the ravioli just because of the lobster and ricotta cheese. Either way, you are in good hands when ordering one or both because they are best sellers. For pizza, we ordered a half-and-half of Pizza Puccini and Pizza al Tartufo Nero. If you can't decide between two flavors, ask about ordering a mix of two flavors and you can certainly get your wish. Now, although I love anything with truffle bits, I have to give it to Pizza Puccini for getting me to fall in love at first bite. No, really. Eyes widened at first bite, blurting out "OH. MY. GOD." Pizza Puccini is not to be messed with and I highly recommend ordering this if you fancy pizza. 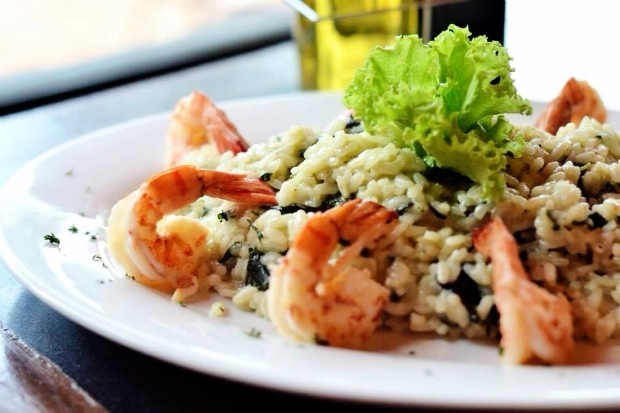 Caffe Puccini is a great place to wine and dine with your friends after a long day at the office. Getting your friends together over good food sounds like the perfect evening, if you ask me! Try out Cafe Puccini and see of yourself.